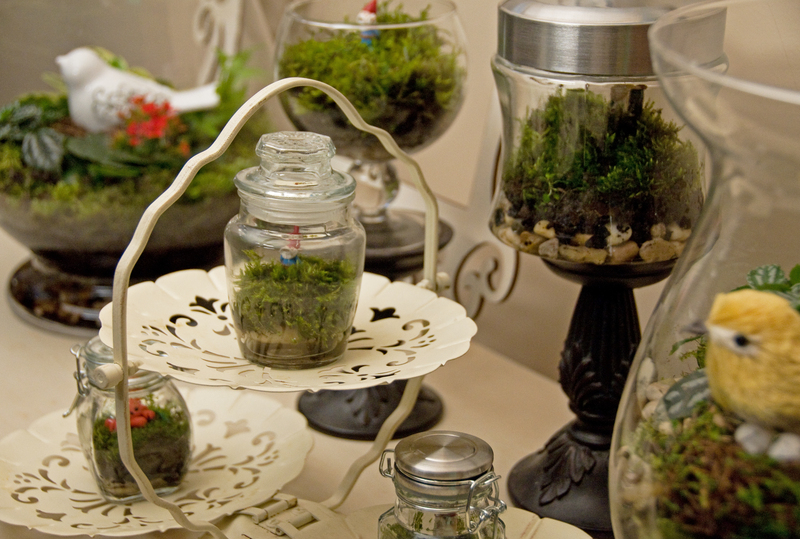 The creative forces behind the Great Lakes Gallery are excited to introduce you to our Handful of Earth Terrariums. Known Gnome Homes are found in the marshes of Lansing, Michigan and the surrounding area. 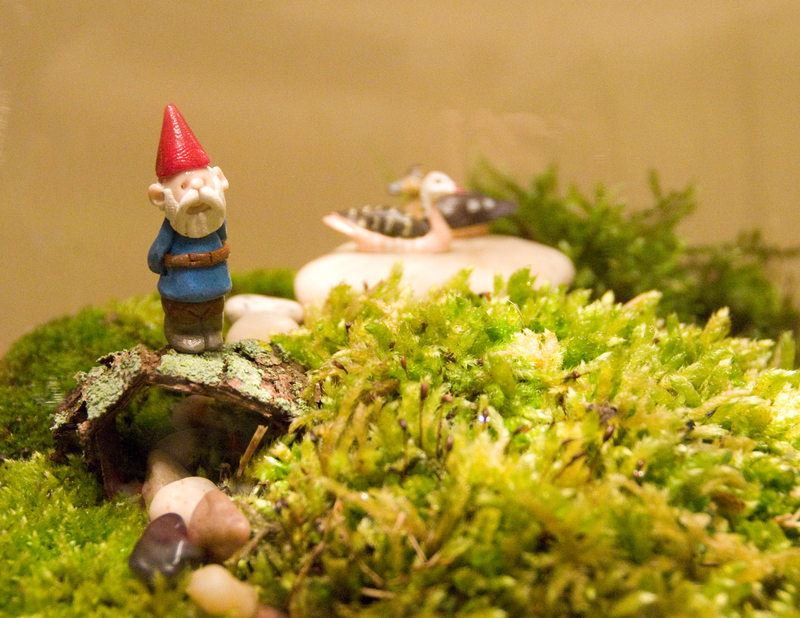 The latest idea from Jen Tebedo, longtime sufferer with Crafter Attention Deficit Disorder, each KnownGnomeHomes.com terrarium is carefully assembled with a variety of wild local moss, beautiful glass and a little magic. As civilization encroaches on our natural surroundings and subdivisions creep into the woods and marshes, often wildlife and gnomes are displaced. While we can’t save them all, we do hope to re-home as many Mid-Michigan gnomes as possible. Every terrarium purchased will rescue a gnome or family within the colony providing them with a handful of earth to call their own. A family project with everyone helping to find specialty glass or carefully harvest moss, we put a little great lakes magic in every scene. Terrariums can be purchased for local pick-up or delivery throughout the capital area. We are unable to ship these little landscapes at this time given the fragility of the Known Gnome Home. If you’re in the Lansing area or plan to be in the future we do accept custom orders- let your imagination run wild and contact us via jt@greatlakesgallery.com.